There is a deeply important topic that is core to my books Judgment Detox and The Universe Has Your Back, as well as my upcoming book Super Attractor. Resistance to happiness. Resistance to freedom. Resistance to the love of the Universe. Our resistance is the reason we stay stuck in patterns that keep us from thriving. The key to attracting everything we want to is release the resistance to love. As I say in Judgment Detox, in the absence of resistance you become like a magnet for more greatness. This is your attracting power. When you feel good and align with love, your energy sends out a signal to the Universe. Your energy vibrates the clear message that you’re aligned with joy and you welcome more if it. When you accept this state of being, the Universe can work on your behalf. You’ll think of something you’d like to call into your life and it will appear. Old issues that used to confound you will no longer show up in your life. Problems and obstacles will naturally resolve themselves quickly. And you’ll feel a connection to everything and everyone around you. One of the most powerful ways to release resistance is to heal judgment of all kinds. (I go deeper into this below.) You can get started on your Judgment Detox journey today by taking my free Judgment Detox Mini Course! 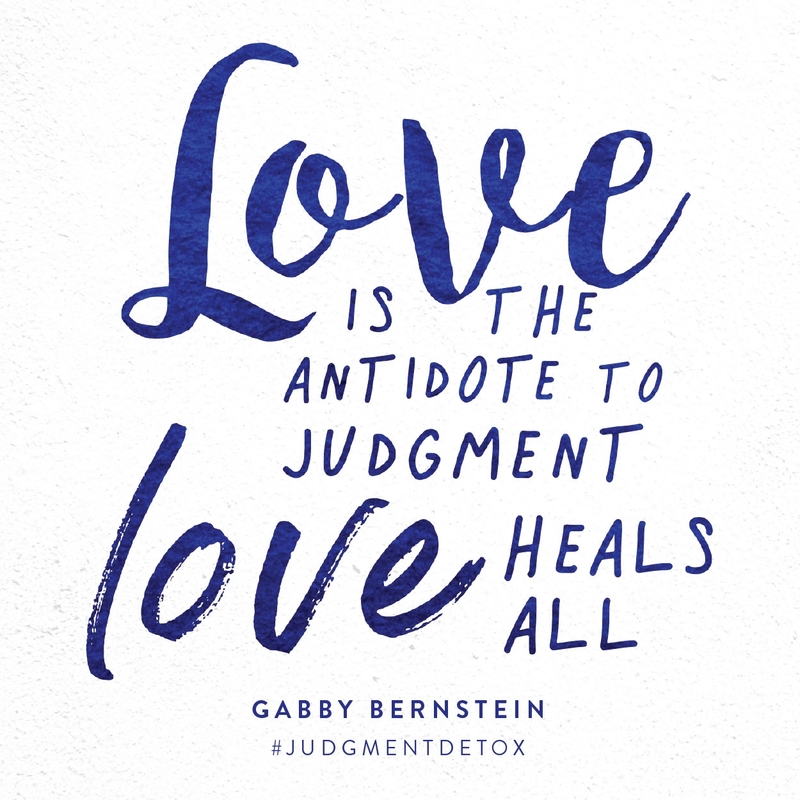 This free 3-part mini course guides you through some of the most powerful practices in my book Judgment Detox. When you dedicate your life to releasing resistance, you accept the love of who you are. In that state of love you’ll feel more supported and aligned with what you desire. Life becomes fun and it flows. Love is your natural inheritance, and the Universe responds effortlessly to it. The vibration of love is so strong it has the capacity to change your worldview and your entire living experience. Why do we have so much resistance? We resist love because we have an ego. The ego is the opposite of love. It’s fear, judgment, separation and attack. We’ve grown to rely on the ego as our source of safety and security. 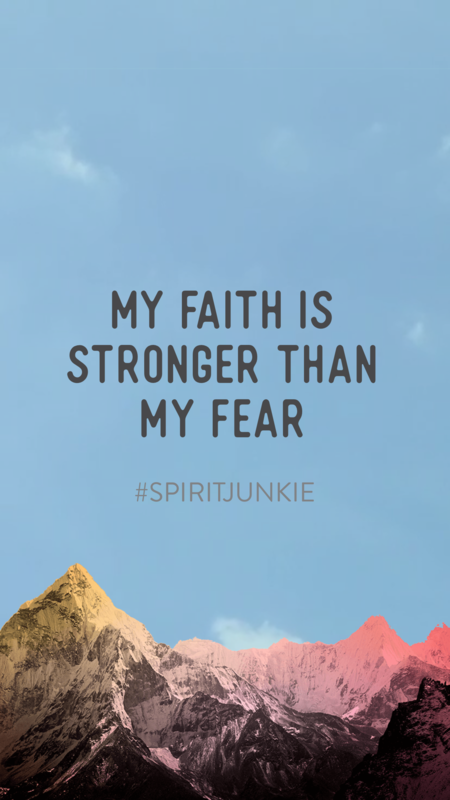 The truth is, we’re far more comfortable in a state of fear than in a place of joy and faith. We’ve learned to rely on fear as a way of protecting ourselves from being disappointed, hurt or triggered. We think, “If I were to lean on love, who would I be? How would I protect myself?” We don’t trust in the safety and protection of the Universe because we’ve been programmed to believe in the fears of the world. Many of us also struggle to put our faith in a higher power because it’s not something we can see. We have different ways of trying to control our lives. Some people know they have “control freak” tendencies (like me) whereas others have a harder time understanding that they, too, try to control. Resistance to love shows up in many different forms, such as as addictive patterns, denying yourself joy, chronic stress, physical conditions and avoidance. They are all ways we attempt to protect ourselves instead of placing our faith in the protection of the Universe. Stepping into the light can be scary because it requires healing, learning and changing. We have to be willing to look at our patterns, witness our judgment, honor our fear and surrender to spiritual guidance. We don’t have to release resistance. We always have a choice. But as long as we resist love, we will continue to struggle. If you’re ready to begin releasing resistance, follow the four steps below. Step into the light and know that you are protected and guided by the Universe at all times. Acknowledge your resistance to love. When we accept that we are addicted to fear, we can let ourselves off the hook for anything in the past and for the detours into fear we will continue to make on our spiritual path. We can forgive ourselves for holding on to old patterns. Resistance will continue to show up in our lives. That’s okay. Just acknowledge it and forgive it so you can return to love fast. Once you have acknowledged your resistance, you are ready for step 2. Believing in love requires a mental reprogramming. When you surrender your plans and release control, you allow the voice of your intuition and the energy of love to be your guide. The more conscious we become of how we use judgment to “play it safe,” the more we realize how unsafe it really is. We can begin to see how judgment breeds more judgment. When we attempt to protect ourselves with judgment, we create more separation and deepen our disconnection from love. Love can seem far scarier to us than fear. We’re terrified to let love in because we fear that when we do we’ll be susceptible to more pain. But love is the antidote to judgment. Love heals all. I’m making it easy to release judgment! I want to make it really easy for you to release judgment! So I created a FREE 3-part mini course that guides you through some of the most powerful techniques in my book Judgment Detox. If you have 5 minutes a day for 3 days, you can do this course. It doesn’t matter whether you’ve read the book or not. Click here to get instant access! We have a sacred responsibility to lean toward joy. The more joyful we are, the more light we can shine upon the world, the more power we have to express our presence, and the more positive energy we can put out. When we lean toward joy we raise our vibrational frequency, which gives us the energy necessary to show up and serve. Joy is the inspiration behind creative solutions for seemingly hopeless problems. It provides us with generosity so we can give more where there is need. When you’re in a state of joy you leave a positive imprint on every being in the world. Learn how to get into the stream of well-being and choose joy! One of the biggest blocks to being a Super Attractor is our resistance to feeling good. In order to claim everything you attract, you need to welcome worthiness and happiness. You need to accept that struggle and pain aren’t required for growth, success or a meaningful life. It’s good to feel good! In the absence of resistance you’ll become a magnet for what you desire and you’ll feel the energy of love supporting you in every aspect of your life. In this place of nonresistance you can reconnect to your true love nature and be in tune with the vibration of the Universe. Follow these steps today and begin to release your resistance to the presence of love within you. Sending my deep felt gratitude and Love Dear Sister, I really needed this, this morning. I had a tough weekend and the timing was perfect for this reminder. Thank you. Wonderful, diving timing. Sending big hugs your way. My resistance is with having a baby. The pure terror of the whole process and beyond combined with the external pressure to get pregnant made my body react to literally block the option by having 2 separate infections, several rounds of medicines, and I was “out” for 3 months. I couldn’t figure out why the second one wasn’t clearing up despite doing everything right. And I was getting angry… It wasn’t until the other day that I said out loud to my husband, “The pressure is too much. No wonder that area has gone insane!” Gabby, the next day…the 2nd infection was gone. So the physical symptoms were a wake up call, but now the real work has to begin. My literal resistance to being open to something so joyful is still loaded with pure fear. The fear of actually manifesting something so joyful (for various reasons I won’t get into) resulted in a strong physical reaction and that, I recognize through this post, is and was my resistance to love. Thank you for your beautiful and and inspiration work! Your dedication to love and faith has helped me transform my life in profoundly positive ways! It has aided me in remembering my true divine self! This post is exactly what I needed to read today! The Universe certainly does have your back! Thanks Gabby!! Love, hugs, and blessing XOX! Your message was divine timing for me today. Thank you for the guidance and reminders today. It is very impressive how you are continually reaffirming the way to a life of happiness and fulfilment. I have always strived for this as well, on a 24 hour basis. I have just turned 60 and I am still dealing with some frozen parts of my brain. When my brain was totally frozen I could not feel anything for many decades and could not make conversation – conversation involves the whole body and not just the tongue! In this state, one has very little control over ones feelings because one has no feelings, just a screaming desire to be free. Abuse can often make a victim feel schizophrenic because of the extreme control it exerts over a very young sponge of a brain – which has nothing to do with one’s own personality. Infact, quite often victims of this kind of extreme childhood experience will not take any substances because they don’t want to feel more out of control. So when people say – you can always control your feelings – it helps to have them in the first place! Living as an empty vessel was a magnet to every kind of pervert in the world and at that time there was no nature because nature should protect but it didn’t. A very frightening life. I have almost won my battle but have emerged still on my own in every sense, including family which has been the most painful part, but I still continue with my Olympic marathon until the last bit of frozen sexual abuse (which shows in my eyes and still makes be very vulnerable and humiliated to expose). But reading many many books on the subject and trying every possible way of self-help, especially when I was very young, just provides a bit of lean-to, it is not a cure and often the practices are too light-weight to make an impact – including any form of meditation etc. Unfortunately though with the very best will in the world, after many many decades of trying, I know some people who are still in a very bad way. Thank you for this brave and heartfelt share, Ann. I deeply honor your healing journey and see the ways that you are tapping into self love and self care. Sending you lots of love. Thank you Gabby for your response. I wasn’t sure if you would reply but it means a lot to be acknowledged in this way. I am lucky enough to have a spirit guide who came to me in 2005 and who has been restoring me ever since – albeit extraordinarily slowly in real time! But I am a lot luckier than most in this situation though. Many congratulations on your pregnancy. As always, spot on. Can’t wait for Super Attractor. I’m fighting to get back to the light. But I keep messing up and the feelings of failure are making me scared- I want to stop hurting so badly I numb the pain as much as I can but it keeps slapping me in the face…I can’t see a way out. Please please send me some positive vibes. I believe I need to read this over and over. Maybe everyday this week! I have heard this from you before but today I remember, today I understand, today I feel it and I see how I am resisting to love & feeling joy. Thank you Gabby I love you so much! Thank you Gabby! This is exactly what I needed to hear today. I’m so grateful for your thoughtful guidance. Much love to you. As an artist I found that many other artists….and me included, tend to make a big deal of “planning” or just wanting to know exactly what the painting will look like. Thus, each moment they are “deciding” whether or not to make a line, use a color etc. This “deciding” becomes a source of resistance and they fear they will “ruin” the drawing or painting. Several years ago, I started a daily “practice” of drawing a circular mandala design and releasing totally to my intuitive/God/Universe sense. At first it was a bit of a stretch, but as days, years went by it has transformed my whole approach to painting. No real deciding, idea arrives and my hands act. I am also a violinist. Last year I prayerfully asked for “assistance” in practing. Almost immediately, words arrived as remembered statements from my teacher from long ago, vivid memories of advice given in lessons. Soon they came from his teacher: “Papa Auer” ( Leoplold Auer). I remembered him talking about Auer, but before that had no memory of context. Recently, I read a book byAuer and to my astonishment there were the same advice . Often our “deciding” and “planning ” forms a habit of resistance that puts up a wall of self-judgement. I dont understand the true meaning of surrendering. I read about it yes, I understand the concept yes, I’ve taken the 3 day course, read all of your books, become a miracle member and so much more,still I dont understand how I’m supposed to feel in the end. When things feel complicated, go neutral and easy by focusing on feeling good and having fun. Sometimes when we focus too hard on making shifts, we move away from feeling happy. Make having fun and feeling great your #1 priority. Do at least 1 fun thing each day that lights you up. Try this for at least a month and see how things start to shift! Great advice. “Lightening” up is the path to enlightenment (Bashar channeled by Darryl Anka). The most recent life altering shift in my life was when I did the kundalini Breath of Fire to Surrender, Gabby did at Wanderlust I’m pretty sure a few years ago. It’s on YouTube. I felt what “surrender”really feels like… and miracles happened in less that 24 hours!!!!! In a state of searchinh and possibly surrendering to the wrong thing. Possibly giving up or giving in. I will surrender and be guided. The decision is too hard for me to make so I trust. Thank you Gabby! I’m sort of hung up on this word resistance. How can I acknowledge it if I don’t quite know what it is or means? Does it mean I’m scared to quit a waitressing job I hate because I am terrified of not having an income when I’m already in a lot of debt and have payments due for classes, groceries and just living? (Living in a very low vibration I might add with no car, no extra money for personal joys like shopping, personal care, exploring the city and surrounding natural wonders, nice lunches by myself, etc., no real excitement about my dreams or forward motion toward them that I can see, living just day to day in my apartment because I can’t afford anything else and getting anywhere in LA with no car is excruciating, just going from my classes to my work to my theatre and back- week in week out so all the weeks and months blend together into one unsettling groundhog-day.) I can see this is not the way I want to live… but where is the resistance? What does resistance mean? That I don’t WANT to change anything because hanging on by a thread is the only thing I can SEE? I just got your book. I’ve been struggling with suicidal thoughts, and hoping to get my mind right. I struggle to meditate. Bryan, if you’re having suicidal thoughts, please call this number right away to get support: 1-800-273-8255. This is a suicide hotline, with trained, wonderful people to support you. They will be able to provide you with a nonjudgmental, safe, and supportive plan of action. You can also chat online with them here if you do not feel like calling: http://chat.suicidepreventionlifeline.org/GetHelp/LifelineChat.aspx Sending you deep love and healing. Perfect message, in the right moment. I must admit for the past year I have been meditating and surrending my deepest desires to the universe. However to my surprise nothing was happening. I really didn’t think I was resisting these desires. After all who would resist what they really want! Then yesterday I followed one of your tapping videos to release judgement and to my surprise I it really helped. So last night I was lead by the universe to a video by Brad Yates about tapping to realease your resistance to money. At the beginning of the video Brad produces a wad of cash (approx $5000) and asks you to look at the money and notice what feelings and thoughts come up. My first thought was “I would be scared to lose it” Resistance! I continued with the tapping session. Surprised by my thought I sat and journaled for a while to see if any other thoughts came up. I found that I was also scared of the changes this money would bring, even though they were all positive. Resistance! Also I was concerned that having lots of money may change my relationships with family and friends. Resistance! And I am wondering why I am not manifesting what I want. I feel like I was wanting the money to flow because that would be a good thing in my life and would have many positive effects on my life, and yet I was resisting it like it was bad. So of course the universe doesn’t want to give me something that could be bad for me. On the bright side I know that the resistance exists now so I can work on eliminating it from my life so my desires can flow to me. I feel like I have had an epiphany!!! I think I am beginning to get it! Thank you for this and all of your helpful content. As I start to break things down and see the real patterns, in order to find resistance, I’m feeling anxious over the “what ifs” and so much anxiety around regret. How can I release all of that in order to attract better? What do you do when you are resisting telling someone you’re into them because you are 95% sure they don’t like you back. I am being a realist or is it the fear of rejection amongst other fears talking? I became very spiritual earlier this year after some hardships in 2017 and it has been the most magical year of my life. I fell in love with your teachings, I meditate everyday, I practice kundalini yoga, I quit drinking completely, have released toxic people from my life, and most crazy of all I focused on growing my business and more than tripled my income. I am a completely different person today in October compared to earlier this year in January. It’s all thanks to my connection to source and being guided. I am about to make a huge decision by quitting my 9-5 career because it is the only thing in my life that I dislike and feel completely disconnected to. I loved my job before but I’ve changed as a person and no longer see it the same way. I would like to focus on growing my business further because it makes me happy and allows me to be free. There are so many things that I want to do and this 9-5 job is holding me back. I am wondering if these changes are happening too fast? It feels like the right thing to do but right now I am feeling fear over this decision. What if things don’t go well for my business and I end up regretting leaving my 9-5 which is stable and safe? I am meditating on this daily and I feel like once I make the move, a million tons will be lifted off of my shoulders. But I can’t help but feel this fear right now. I don’t know if I should give it more time. Can you please give me some advice? Dearest Gaby, as always your work teach me a lot and inspires me like a warm breeze in the summer. I have a question, what if I think my inner resistance is that the Universe judge me to deserve more. Or if I need to go through more lessons to learn things I don’t know yet. 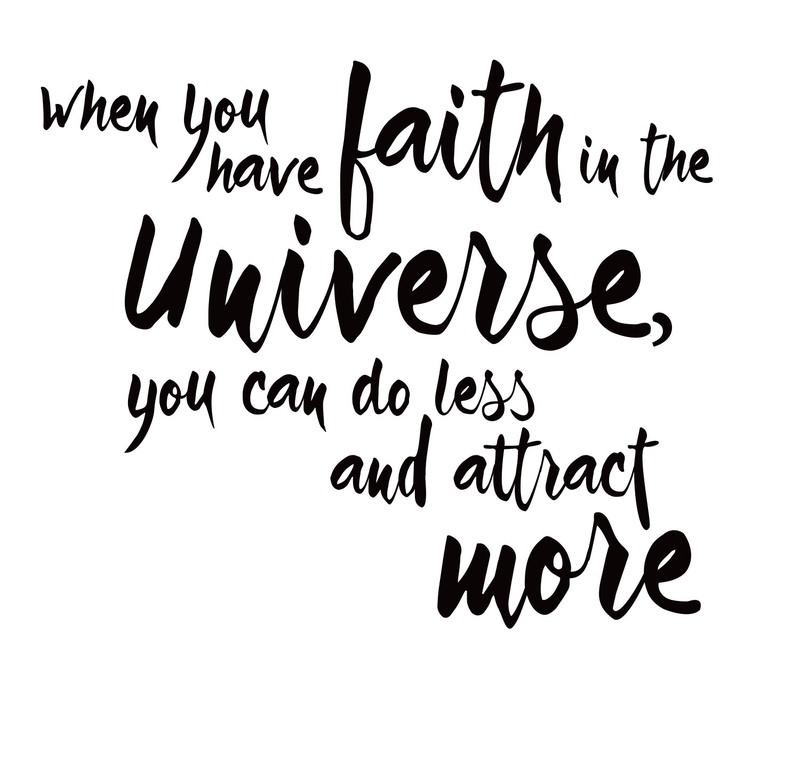 How I can change this mindset if is so… The most crazy thing is that all I want comes from love and I believe that I could give more and more – I think I am missing a part to manifest better or maybe I don’t know how to ask to the Universe properly?